If you've given up using Chrome on your MacBook because you were fed up with the amount of battery power the browser seemed to chew through, then we've got some good news – Google has tweaked the software to be kinder to your beleaguered battery. With version 53 of the Chrome browser, Google has improved battery longevity across the board, so Windows notebooks will benefit from its better power efficiency – but because the MacBook has been such a problem area in the past, the company highlighted the boosts made for Apple laptops. In a blog post, Google said that Chrome for Mac now uses 33% less power no matter what you're doing, from more intensive tasks like watching video on YouTube, through to simple web browsing and scrolling down a page. That's an impressive boost for MacBooks indeed. Google also showed an old version of Chrome (v46, from last year) against this latest incarnation running on a Surface Book and playing a Vimeo clip – the old version lasted for 8 hours and 27 minutes, compared to 10 hours and 39 minutes for Chrome 53. Again, that's a considerable increase of 2 hours and 12 minutes. Google also said that Chrome 53 ups the ante on the performance front and is now 15% faster on desktop and Android alike. 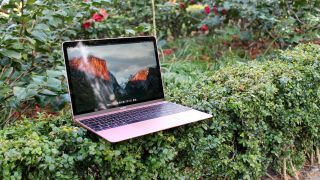 But the battery gains will certainly be more noticeable, and should make a very appreciable impact on the lastability of a MacBook when web surfing on the move. And if we do get a new MacBook Air or refreshed MacBook Pro at Apple's press event which is due to kick off shortly, just maybe we might see a beefier battery on board, and increased longevity with the new model(s). Here's hoping, but with much of the buzz on the grapevine having been about slim new machines, that might be at odds with any sort of major increase on the battery front. Unless Apple engineers have got some real magic up their sleeves – at any rate, we don't have long to wait to find out.